With the June update, we’ve made quite a few beneficial updates to Scoro. So, instead of getting a sunburn and taking a cooling dip in the sea, let’s dive right into the list of improvements. You can now see the progress of each project right there in the list view, no need to open the project to stay updated. To add the progress bar to your list, just tick “Progress” under the View options. When using the “Summarize” option in the projects list, you’re now able to see the number of projects for each summarized group. For example, when grouping the list by project managers and summarizing the results, you can easily tell how many projects each of them is currently managing. In both project modify and projects list view, we’ve improved the way contacts are displayed, when starting to link the project with a client. Now, the contacts marked as “Is client” on the contact card are displayed first in the list. This way you can easily find only the relevant contacts. We have improved the way our project notifications work. From now, all project members are automatically selected to be notified when creating a new project, adding members and clicking on the Notify button. You can still deselect users that shouldn’t be notified. The same project filter as in Scoro’s task list is now also available in the detailed work report, so it’s easy to get an overview of (and create an invoice for) only the activities done during a specific project phase. For those of you using activity confirmation and/or work-time billing, you can now easily tell if a time entry has been confirmed and billed. 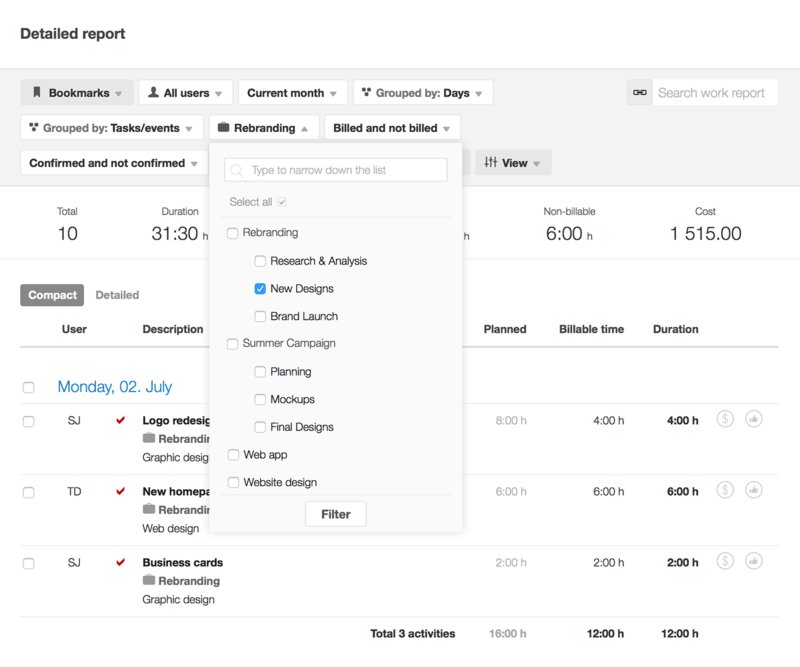 This way, you can track if all of your team’s work has been billed to the client. There are now two icon columns in the detailed work report and next to time entries in the task detailed view – one for each status. If a time entry is confirmed and fully billed, the icons are blue and green, respectively. Yellow stands for a partially billed time entry. If the icon is grey, it hasn’t been billed yet. You can click on the billed icons to see the relevant invoice(s). If the confirmation icons are grey, the time entries still need to be confirmed before they can be invoiced. Just tick the relevant time entries in the work report and confirm them with one click, then create an invoice for your customer. If you’re someone who is extra careful (as you should be!) 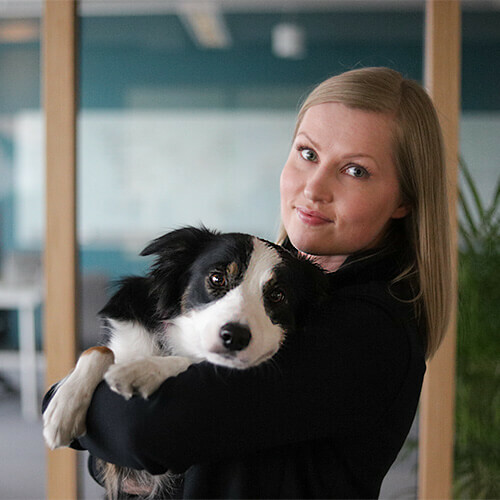 and change the password of your MS Exchange account regularly, you can now easily update your credentials on the MS Exchange integration page in Scoro. Just type in your user information and you’re good to go. In addition to syncing bills from QuickBooks to Scoro, we have now enabled supplier bills synchronization from Scoro to QuickBooks. This helps to ensure all important documents are safely stored on both sides, no matter where they’re added from. When changing the base currency of your Scoro site, the exchange rates are now automatically calculated for all used currencies that are available in the European Central Bank registry. 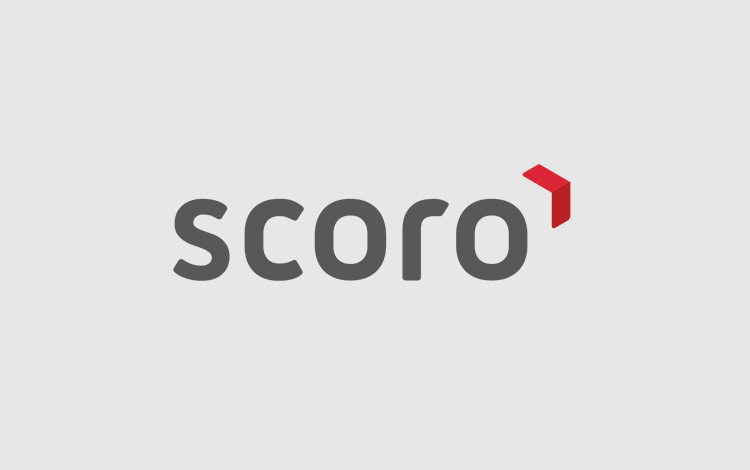 As a result, the financial data in Scoro is accurate at all times, no need to calculate anything manually. Instead of opening each project-related file separately, you can now click on the Files section title in any detailed view in Scoro and get to the filtered files list with one click. If needed, just select all the files to download, and store or present your work to the customer. 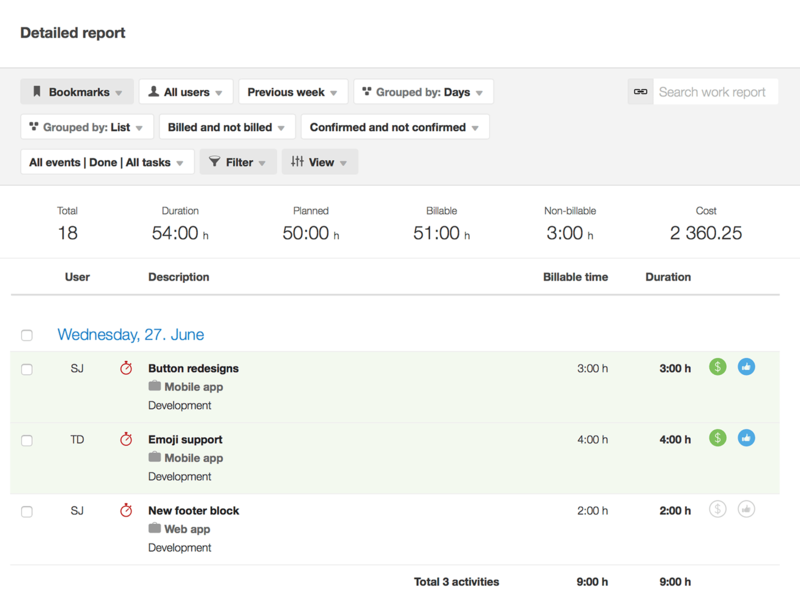 With two new columns in the task list view you’re able to see both “Planned billable time” and “Remaining billable time” spent on project-related activities. Just tick these under the View options and take a quick look at how much work-time still needs to be invoiced for. Until now we had an issue in the Planner where a long event lasting for more than one workday was still fit to display in one day. We’ve taken care of that, so the Planner now shows the event on as many days as the event lasts for. To help you get a quick overview of future revenue from finalized deals, we’ve added a new subtotal row to all views that include a related quotes section in Scoro. The subtotal is calculated based on quotes in statuses marked as “Is successful”. There’s a new setting under Settings > Sales and Finance > Quotes called “Default estimated closing date:”. This allows to set a prognostic closing date (e.g in 7 days from today) that will be added automatically when creating a new quote. Automating this small step will prevent users from forgetting to add this data, and result in a more accurate overview of your sales funnel. When linking a calendar event with a project and then with a quote, for example, Scoro now lists the quotes linked with this project first. This also works when linking an event with an invoice, order or bill. This makes interlinking relevant items even easier. Previously, when creating sales documents numbered – for example – 1 or 00001, both options were saved in Scoro as 001. We’ve now opted for a more flexible solution, in which the numbering is directly based on the user’s input. This allows for more smoother syncing with accounting software. Interlinking data is a big part of Scoro, so we’ve added another link to get to relevant data faster. When sending an email from Scoro and creating a task, or linking an already existing task with this email, Scoro now shows these interlinks in different views. A link to the email is added to the task detailed view and, vice versa, the link to the task is added to the email detailed view under Reports > Sent items. For example, if you’re sending multiple attachments via email, then all of these files are just one click away in the task detailed view. When adding an event, a task or a comment in Scoro and attaching a picture to it, the notified user will now also receive the added picture with the notification email. Yet another small fix, but helps to save time by getting all relevant information from one source. In addition to the task title, you can now search for any task by its ID all over Scoro. When you create untitled tasks with only a description or activity type, these tasks can be difficult to find when linking them with calendar events or when using relation-type custom fields. Now, you’ll be able to search for the corresponding task by typing the ID in the “Link with task” field.